Today, our security-as-a-service solutions protect millions of computers worldwide with subscribers who range from individuals to the largest public and private sector organizations. Headquartered in Vancouver, Canada, our regional headquarters are located in Austin, Texas and Reading, England. Absolute Computrace allows your customers to persistently track, and secure all of their Technology investments with a single cloud based console. Customers can manage their entire deployment—including desktops, laptops, and handheld devices—regardless if they are on or off the network. Allows IT departments to remotely engage with each device so data can be safe-guarded or removed. The physical location of a device can often predict if it is secure or at risk. An alert will be sent if a device strays from its usual location. The Absolute Forensic team can determine if a device has been stolen, who has the device, what they’re doing with it, and whether any data was assessed. If the device has been stolen the Absolute Investigations team will perform an investigation and work with the police to assist with their investigation. 30,000+ successful recoveries working with police agencies around the world. Absolute LoJack is the leader in data protection and theft recovery, with a proven solution that both locates stolen devices and gets them back to their owners. Thanks to Absolute patented Persistence Technology, even if a device is reset to the original factory settings our security software can't be deleted. Locate a lost device (laptops, phones, and tablets) using GPS, Wi-Fi, or IP geo-location. Device Lock prevents anyone from accessing personal information on laptops, phones, and tablets. Activating the delete feature permanently erases files on the owner's laptop, phone, or tablet, protecting personal information and preventing identity theft. 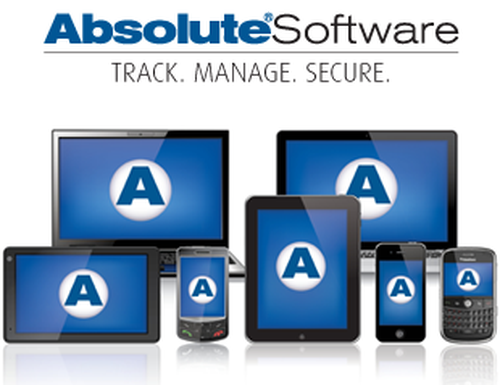 Unlike other tracking software, Absolute LoJack enables the Investigations and Recovery Team to recover a stolen device. * Through partnerships with computer manufacturers, the Absolute persistence module is embedded into the firmware of computer, tablet, and smartphone devices at the factory. This patented Absolute persistence technology provides customers with a constant connection to all of the devices in their deployment. If efforts are made to remove it, the technology simply rebuilds itself so our customers can continue to track, manage, and protect their assets. No other technology can do this.